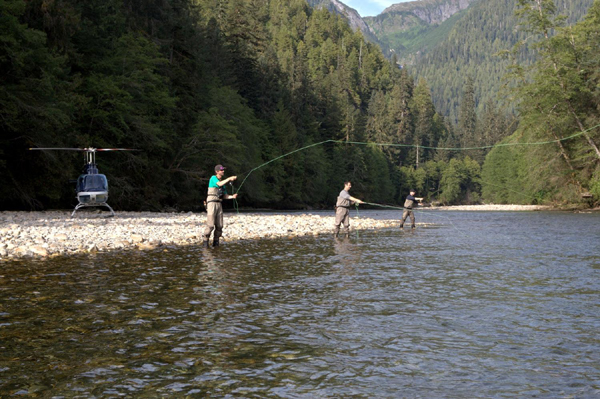 Heli-Fishing involves traveling by helicopter to remote areas, to fish for coastal trout or salmon on the anadromous rivers of the mainland coast of British Columbia. During a helicopter fishing expedition one can travel throughout 30,000 square miles, from sea level through 13,000 feet. The fishing is a flying adventure without a catch, as the fishing is 100% catch-and-release.